For other people named Sam Sullivan, see Sam Sullivan (disambiguation). Sam Sullivan, CM (born November 13, 1959) is a Canadian politician currently serving as the MLA for Vancouver-False Creek. Previously, he served as the Minister of Communities, Sport and Cultural Development with responsibility for Translink in the short-lived BC Liberal government after the 2017 election, as well as the 38th mayor of Vancouver, British Columbia, Canada and has been invested as a member of the Order of Canada. He is currently President of the Global Civic Policy Society and Adjunct Professor with the UBC School of Architecture and Landscape Architecture. Sam Sullivan was born on November 13, 1959 to East Vancouver residents Lloyd and Ida Sullivan. His father ran Sully's Autoparts on East Hastings Street. He has three brothers, Donald, Patrick, Terry, and a sister, Carol. Sullivan attended Chief Maquinna Elementary and Vancouver Technical Secondary School in East Vancouver. Sullivan became paralyzed after breaking his neck in a skiing accident at age 19. He suffered a fracture dislocation of his fourth and fifth cervical vertebrae, leaving him almost completely paralyzed. After a seven-year struggle with depression, he successfully completed a Bachelor of Business Administration degree at Simon Fraser University. Sullivan later founded six non-profit organizations dedicated to improving the quality of life for disabled people in North America. Tetra Society: this organization recruits technically skilled volunteers who create custom-made assistive devices that are not available on the market. There are currently 45 chapters throughout Canada and the USA, which have created more than 5,000 devices. Disabled Sailing Association: beginning at Vancouver's Jericho Sailing Center there are now 20 programs throughout Canada and the US. Sullivan initiated the development of the Martin 16 sailboat, designed specifically for people with disabilities, including high-level quadriplegics who use sip-and-puff technology. 150 of these sailboats are in use throughout the world. Sullivan also initiated the Mobility Cup National Regatta for people with disabilities. British Columbia Mobility Opportunities Society Wilderness Access Program: Sullivan worked with Tetra Volunteer Paul Cermak to invent the TrailRider, a one-wheeled vehicle that enables people with disabilities to access the wilderness. 100 of these are currently in use around the world. They have been used by people with significant disabilities to climb Mount Kilimanjaro and to the base camp of Mount Everest. BCMOS also operates an Adaptive Paddleboarding and Kayaking program at the Olympic Village. Vancouver Adapted Music Society: This organization operates a music studio in the GF Strong Rehabilitation Centre and supports the musical aspirations of people with disabilities, including recordings and performances. Sam Sullivan and Dave Symington formed the band Spinal Chord and recorded an album of original music in 1993 called Why Be Normal? Sullivan was the band's vocalist and played keyboards using custom-designed computer software. ConnecTra Society: ConnecTra links people with physical disabilities to activities and programs that will, over time, allow them to grow, gain confidence and become increasingly active and involved in the community. It has helped over 200 people with disabilities since the inception of the ConnecTra Project in 2012. This project helps people with disabilities get signed up at their local WorkBC. Many participants have gone on to find part-time and full-time jobs. In recognition of these achievements, Sullivan was inducted into the Terry Fox Hall of Fame in 2000 and won the Christopher Reeve Award in 2008. Sullivan was first elected to Vancouver City Council in 1993 as a member of the Non-Partisan Association (NPA), and served for 15 years total. 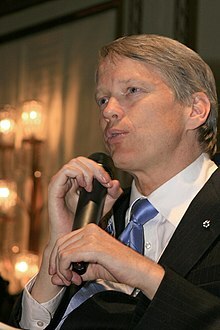 In Vancouver's 2002 general local elections, Sullivan was the only incumbent member of city council from the NPA to win re-election after the NPA-dominated council was defeated by the COPE party, leaving only five out of 27 seats on the council, school board and parks board. In 2004, he led the Knowards campaign opposing the COPE-initiated campaign to replace the city's at-large system of choosing councillors with a ward voting system. The proposal was defeated 54% to 46% in a referendum. Following the 2002 electoral losses, the Non-Partisan Association rebuilt its slate for the 2005 election. Sullivan beat former BC Liberal Party deputy-Premier Christy Clark for the NPA mayoral nomination. He then led the party to electoral majorities on the City Council, School Board and Park Board with 17 out of 27 seats. On May 2, 2006, Sullivan provided a statement to the Royal Canadian Mounted Police about his past decisions to provide money to illegal drug users. Because of increased public awareness surrounding these incidents during the mayoralty race, the Vancouver Chief of Police requested that the RCMP investigate these incidents. Sullivan's statement gave a brief account of his decision to provide financial support to a 20-year-old woman working as a prostitute in his neighbourhood in the late 1990s, by providing $40 a day for three weeks for heroin. Sullivan also gave money to a severely addicted crack cocaine user so he did not have to steal, and let him smoke in his van. In the election, Sullivan ran against several candidates, the most prominent of which was Vision Vancouver councillor Jim Green. Sullivan defeated Green by a narrow margin of 3,747 votes of 130,000 ballots cast. A second, independent candidate named James Green also ran in this election, gaining over 4,000 votes. The close margin of Sullivan's victory and the similarity of independent candidate James Green's name to that of Sullivan's main opponent Jim Green led to a major controversy. Speculation that James Green was a "spoiler" candidate was inflamed when it became known that Sullivan had helped Green in a dispute about office space. No allegations were ever proven that Sullivan was supporting the independent candidate James Green, and both men denied any wrongdoing. Sullivan was the subject of a National Film Board of Canada documentary, Citizen Sam. It premiered in November 2006, and was nominated for a Gemini Award. Sullivan took part in the Closing Ceremony of the 2006 Winter Olympics, in the ceremony where the Olympic Flag was passed from Turin to Vancouver. The ceremony involves an official of the current host city waving the flag eight times, then handing it off to an official of the next host city, who waves it eight times. When it was his turn, the flag was put into a special bracket built into Sullivan's wheelchair. He then swung his wheelchair back and forth eight times to wave the flag. After the event, Sullivan received letters from people across the world who were inspired by the act, and received many invitations to be a keynote speaker at conventions. "I especially was moved to get letters from people who wrote very eloquent letters, saying they had considered suicide, and changed their mind when they saw me perform my duties...To see I had such an impact on people's lives was truly a humbling experience," Sullivan said in response to the reaction. Shortly after the World Urban Forum held in Vancouver in June 2006, Sullivan launched the EcoDensity initiative. It was defined at its launch 'to make Vancouver more sustainable, affordable, and liveable'. This included plans to densify Vancouver, including more towers and allowing secondary houses on existing single-family properties. Sullivan claimed higher densities and smaller ecological footprints were necessary to sustain a growing population. In a move that was roundly criticized by both community members and the local media, Sullivan's staff registered the term "EcoDensity" with the patent office, under his name. In September 2007 the City of Vancouver announced that the ownership of the trademark had been transferred to the city. In 2009 the Canadian Institute of Planners awarded the EcoDensity its Planning Excellence award for City Planning. Sullivan conducted an informal survey on his website asking visitors how they felt about civil disorder in the City of Vancouver. On November 26, 2006, he released the results of his survey and created a new program called Project Civil City, which is known as the mayor's effort to enhance public order in Vancouver's public areas. The conclusion of Project Civil City was that police were not the answer to the city's social problems. The police chief of that time was opposed to the project, saying "I'm not in favor of this kind of position" and "I can do this job". Throughout his term, Sullivan was criticized by the opposition for his reluctance to hire more police. An important initiative of Project Civil City was the creation of the Street to Home Foundation, whose goal was to encourage philanthropists in the city to contribute toward the solution to homelessness. An initiative Sullivan championed was CAST(chronic addiction substitution treatment). This would prescribe drugs to people with addictions. He formed a group called Inner Change which raised several million dollars to support the SALOME drug trials. An important goal was to reduce overdose deaths. This was opposed by the opposition. Statistics from the Vancouver Police Board indicate that in 2005, the year before he became mayor, 51,429 property crimes were reported in the city. In 2008, his final year as Mayor there were 40,514 property crimes. However, in its first two years, homelessness went up 54 to 78 percent, drug offenses doubled, and street disorder went up 84 percent. The project was cancelled in 2010. A civic strike of Vancouver's inside, outside, and library workers that began on July 26, 2007 was dubbed "Sam's Strike" by the strikers. The strike lasted 88 days and was the second longest in Vancouver's history; the longest was 90 days under Mayor Mike Harcourt in 1981. The unions blamed Sullivan's intransigence at the bargaining table for prolonging the strike. The union cited the city never tabling a written counteroffer as evidence of the city not negotiating. A mediator was called in who recommended 17.5% (21% compounded), which was the amount accepted by the rest of the municipalities in the region. When two of the civic unions rejected the recommendation, public support collapsed, and within the week a new vote by the three civic unions accepted the deal. On October 19, 2007 CUPE Local 391 voted 71 percent in favour of the city's offer and ended the strike. Critics accused of Sullivan of misusing political donations when $5000 raised for the Knowards campaign through the Nanitch Policy Society was used to buy tickets for campaign volunteers at a 2004 NPA dinner. Calls for an inquiry by Vancouver city council opposition members were subsequently dismissed by the Provincial government. In December 2009, The Tyee published a letter from Sullivan in which he explained the background behind the Nanitch Policy Society, and in particular the donation made to the NPA. In 2008, although the NPA board had greenlighted Sullivan to run for mayor and he had the endorsement of all NPA City Councillors, NPA councillor Peter Ladner announced that he wanted to challenge Sullivan for mayor. On June 8, 2008, it was announced that Ladner had defeated Sullivan to win the NPA's mayoral nomination. Ladner beat Sullivan in a tight, 1,066-to-986 vote after convincing enough NPA members that Sullivan would be defeated in the municipal election without a change in leadership. Ladner proceeded to lose against his mayoral opponent with NPA reduced to 4 out of 27 seats on the Council, School Board and Park Board. In November 2009, Sullivan formed the Global Civic Policy Society with a $500,000 startup grant from the Annenberg Foundation of California. The society hosts a speaker series called Public Salons that "provide a public platform for the thinkers and doers of Vancouver". The presentations are featured on a 1/2 hour weekly television program on Shaw TV called Sam Sullivan's Public Salons. Through its Greeting Fluency Initiative, the society hosts salons that encourage citizens to "learn a few words of greetings in the languages of their neighbours". It has developed a smartphone app called Greeting Fluency Aid, available free to the public, containing greeting phrases from eighteen languages. It includes over 30 endangered first nations languages of British Columbia. The society hosts the Vancouver Urban Forum with a specific goal of increasing urban densities. Its Early Documents Transcription Program is putting the oldest Vancouver City Council Minutes online for free access to the public. It contributes to short BC education and policy videos under the Kumtuks banner which had 800,000 views by the end of 2017. In February 2011, Sullivan founded the Centre for Fourth Wave Reform to explore ideas for change in municipal governance. Sullivan is trying to promote the revival of Chinook Jargon, the aboriginal trade language once widely used in British Columbia. On June 27, 2015, together with retired University of British Columbia Anthropology professor Jay Powell, he hosted Chinook Wawa Day at the Creekside Community Centre in Vancouver; from September 26–27, they hosted Chinook Wawa Weekend. The workshops featured educational material to support citizens interested in the nearly extinct language. Sullivan has published and translated several videos of aboriginal elders speaking Chinook Wawa. In June 2012, Sullivan began hiring individuals and later recruiting volunteers to transcribe handwritten Vancouver City Council Minutes from 1886 to 1891. His goal was to make the achievements of David Oppenheimer, Vancouver's second Mayor, accessible online free of charge to the public. In December 2015 he announced the completion of the first four years of Minutes and the creation of Transcribimus to recruit more volunteers to transcribe additional handwritten documents of Vancouver. Transcribimus is a network of over 20 volunteers that has transcribed 2,500 pages of handwritten documents. In November 2012, Sullivan announced he would seek the BC Liberal Party nomination in Vancouver-False Creek after the current incumbent Mary McNeil said she would not be seeking a second term in the British Columbia general election, 2013. Sullivan's main competition for the nomination was Lorne Mayencourt. Sullivan defeated Mayencourt by a vote of 273 to 202, with commercial litigation lawyer Brian Fixter coming in third. Sullivan went on to win the election, receiving 11,328 votes, with the NDP candidate Matt Toner receiving 7,981 votes. Sullivan was re-elected in the 2017 election as MLA for Vancouver False Creek, but only after a recount. On June 11, he was appointed Minister of Communities, Sport and Cultural Development with responsibility for Translink. His first move was to scrap the requirement for a referendum on Transit funding. His tenure in cabinet was short lived as the Liberal minority government of Christy Clark was defeated in a confidence motion on June 29, 2017. As a result, the BC New Democratic Party led by John Horgan formed a government weeks later, with the support of the Green Party of British Columbia, and Sullivan and the Liberals moved to the Opposition benches. Clark announced her resignation as Liberal leader weeks later. Sullivan announced on September 21, 2017 that he was seeking the leadership of the BC Liberal Party. "Sam Sullivan entered to raise issues, not win, and finished sixth, which is probably where he expected to be." ^ "Outstanding Alumni Award : Sam Sullivan". Langara College. Retrieved October 8, 2017. ^ "28 Mayor of Vancouver Sam Sullivan". The Ireland Canada Monument. Retrieved August 22, 2016. ^ "Governor General to invest 44 recipients into Order of Canada". Governor General of Canada. Retrieved March 3, 2005. ^ a b "Vancouver Mayor Achieves his Dreams" Archived 2008-10-16 at the Wayback Machine, Disability News, April 18, 2008. ^ Bishop, Greg (September 30, 2007). "Maverick Vancouver, B.C., mayor faces Olympic-size challenge". The Seattle Times. Retrieved 2017-11-29. ^ "Caucus Member Sam Sullivan", Disability Foundation, Retrieved August 16, 2009. ^ Bishop, Greg (January 31, 2010). "Vancouver's Former Mayor Remains Face of the Games". The New York Times. ^ "Governor General to invest 44 recipients into Order of Canada". Governor General of Canada archives. Government of Canada. ^ "Catching a ride on the Martin 16". Vancouver Foundation. Archived from the original on 2013-08-14. ^ "About Tetra Society". Tetra Society website. Tetra Society. ^ "The History of Disabled Sailing Association". Disabled Sailing Association. Archived from the original on 2013-12-03. Retrieved 2013-09-09. ^ "The Mobility Cup". Disabled Sailing Association of BC. ^ "Woman with MS Makes Mt Everest Trek with a Dream Team". amsvans.com Wheelchair Accessibility Blog and Disability News. ^ Zeidler, Maryse (June 1, 2016). "Adapted paddleboarding comes to Vancouver". CBC News. ^ "Vancouver Adapted Music Society (VAMS) — Music studio for people with disabilities". Canadian Electroacoustic Community. ^ "Vancouver Adapted Music Society". Vancouver Adapted Music Society website. Archived from the original on 2013-12-03. ^ "About Connectra Society". Connectra Society website. ^ "Sullivan to receive Reeve award". Vancouver Sun. March 7, 2008. Archived from the original on September 17, 2015. ^ "Was that Jim or James Green?". The Tyee. November 15, 2005. Retrieved 2015-05-27. ^ a b "Mayor-elect Sullivan helped James Green in dispute over office space". Vancouver Sun. November 22, 2005. Archived from the original on August 17, 2015. Retrieved 2015-05-27. ^ "Fan mail swamps Mayor Sam Sullivan". Vancouver Province. March 8, 2006. Archived from the original on August 17, 2015. Retrieved 2015-05-27. ^ Georgia Straight (21 November 2007). "EcoDensity Initiative bends to criticism". Retrieved 27 May 2015. ^ Vancouver Courier (16 January 2008). "Mark of Sam". Archived from the original on 1 June 2014. Retrieved 17 April 2013. ^ Vancouver Sun (23 June 2007). "Mayor seeks to trademark 'EcoDensity' for himself". Archived from the original on 15 March 2014. Retrieved 17 April 2013. ^ Pablo, Carlito (December 1, 2006). "Vancouver Police Chief Jamie Graham rejects idea for Project Civil City commissioner". The Georgia Straight. Retrieved 27 May 2015. ^ Freeman, Sunny (June 26, 2007). "Mayor Sam's Idea for Addicts". The Tyee. ^ "Metro Vancouver Mayors Committee meeting agenda, September 19, 2008" (PDF). Metrovancouver.org. September 19, 2008. ^ Burrows, Matthew (October 3, 2007). "Council split on addict aid". The Georgia Straight. ^ "Vancouver Police Department Crime Incident Statistics" (PDF). Vancouver Police Department. Archived from the original (PDF) on 1 August 2013. Retrieved 2 April 2012. ^ Paulsen, Monte (January 21, 2008). "Bad Numbers for 'Civil City'". The Tyee. Retrieved 2011-10-24. ^ "It's not my strike, says Mayor Sam" Archived 2012-11-07 at the Wayback Machine, Vancouver Courier, September 5, 2007. ^ a b "Deal ends 88-day Vancouver labour strife" Archived 2012-11-07 at the Wayback Machine, Vancouver Sun, October 15, 2007. ^ "This civic strike preceded by many lengthy disputes". Vancouver Sun. September 22, 2007. Archived from the original on August 17, 2015. ^ "Endless Summer (Strike)". The Tyee. August 16, 2007. Retrieved 2015-05-27. ^ "Sullivan's Society Hides NPA Donors". The Tyee. November 28, 2007. Retrieved 2015-05-27. ^ "No Effort to Secretly Give Money to NPA: Sullivan". The Tyee. December 16, 2009. Retrieved 2015-05-27. ^ Pablo, Carlito (December 21, 2007). "Mayor Sam Sullivan primes the pump for reelection". The Straight. Retrieved 27 May 2015. ^ "Peter Ladner beats Sam Sullivan in NPA Race". Georgia Straight. June 8, 2008. Retrieved 2015-05-27. ^ "Sullivan's new project gets a $500,000 boost". Vancouver Sun. November 6, 2009. Archived from the original on December 3, 2013. ^ "Salon concept for Sullivan goes big". citycaucus.com. Citycaucus.com. Archived from the original on December 3, 2013. Retrieved May 23, 2010. ^ "Shaw TV community programs schedule: Sam Sullivan's Public Salon". shaw.ca. Shaw TV. ^ Ryan, Denise (March 26, 2012). "Sam Sullivan's 'greeting fluency' program aimed at bridging cultures and building community". Vancouver Sun. Archived from the original on August 6, 2013. ^ "Greeting Fluency Aid". iTunes store. Apple. ^ "Vancouver Urban Forum". SFU Urban Studies. Archived from the original on June 21, 2012. Retrieved June 12, 2012. ^ "Behind Sam Sullivan's Urban Agenda". Vancouver Magazine. June 14, 2012. Retrieved 2017-11-29. ^ "Documents of Early Vancouver". globalcivic.org. Global Civic Policy Society. Archived from the original on 2013-09-28. Retrieved 2013-09-04. ^ Sinoski, Kelly (June 30, 2015). "Why kumtuks Chinook?". The Vancouver Sun. The Vancouver Sun. Retrieved 15 December 2015. ^ Rossi, Cheryl (June 25, 2015). "Chinook Wawa Day celebrates B.C. trade language". Vancouver Courier. Vancouver Courier. Retrieved 15 December 2015. ^ "Elder's speaking Chinook Wawa". ^ Mackie, John (December 10, 2015). "Documents of early Vancouver transcribed and posted online". The Vancouver Sun. The Vancouver Sun. Retrieved 15 December 2015. ^ Verenca, Tereza (December 7, 2015). "Former Vancouver mayor Sam Sullivan leads project to preserve early Vancouver council records". Vancouver Metro. Metro News. Retrieved 15 December 2015. ^ "Sam Sullivan to seek Liberal nomination in Vancouver-False Creek". The Globe and Mail, November 8, 2012. ^ "Lorne Mayencourt to seek B.C. Liberal Nomination". CBC News, November 21, 2012. ^ "Former mayor Sam Sullivan wins BC Liberal nomination for Vancouver-False Creek". Vancouver Sun. February 21, 2013. Retrieved 2015-05-27. ^ "2013 General Election Final Voting Results". Elections BC. Elections BC. Archived from the original on 2013-09-30. ^ Staff, Courier (May 24, 2017). "Sam Sullivan wins Vancouver-False Creek". Vancouver Courier. ^ Palmer, Vaughn (June 16, 2017). "Vaughn Palmer: Liberals start making nice with mayors where votes vanished". Vancouver Sun. ^ "2017 Provincial General Election Preliminary Voting Results". Elections BC. Retrieved 11 May 2017.